The Society was founded in 1993 to celebrate Cartmel’s attractiveness and character and to help achieve a balance between the needs of modern life and the historic nature of the village and its scenic surroundings. In the first stage of its life the Society saw its role as ‘Conserving a Living Village’. It continues to be characterised by this aim but now describes itself as being ‘A Voice for Our Village’. This is to reflect the Society’s wider ability to be able to take an independent view about concerns or opportunities facing the local community. To educate the public in an appreciation of the geography, history, natural history and architecture of the area. To encourage the preservation, protection, development and improvement of features of historic or public interest in the Cartmel area. To promote high standards of planning and architecture in Cartmel. To protect its resources in such a way that enables it to carry out its present and future activities effectively. One of the first projects that the Society facilitated was the production of the Cartmel Village Design Statement in October 1994. Its aim was to raise everyone’s awareness of what is so very special about Cartmel – that particular distinctiveness of its buildings and setting. The Society created a local history group, now called the Cartmel Peninsula Local History Group which meets in the Village Hall on a regular basis. The publication Cartmel Millennium Initiative, a series of booklets covering ‘Everyday Life in Cartmel from 1900 to 1950’, ‘The Natural History of Cartmel’ and ‘The House Detectives’ (Historic Buildings of Cartmel) were published in 1999. In 1998 the Gatehouse Heritage Centre was opened with the intention of providing young and old with the geography, history, natural history and architecture of Cartmel’s valley. This led to a Heritage Exhibition in 2002 which explained the history of the medieval Gatehouse. Funding became a major problem so much so that the Centre was subsequently closed leaving the Society in a perilous financial position. Following a period in which the Society struggled to remain financially viable it received a timely boost to its life and purposes in 2009 as a result of a generous legacy from Ann Rowbotham, whose family were Cartmel residents. 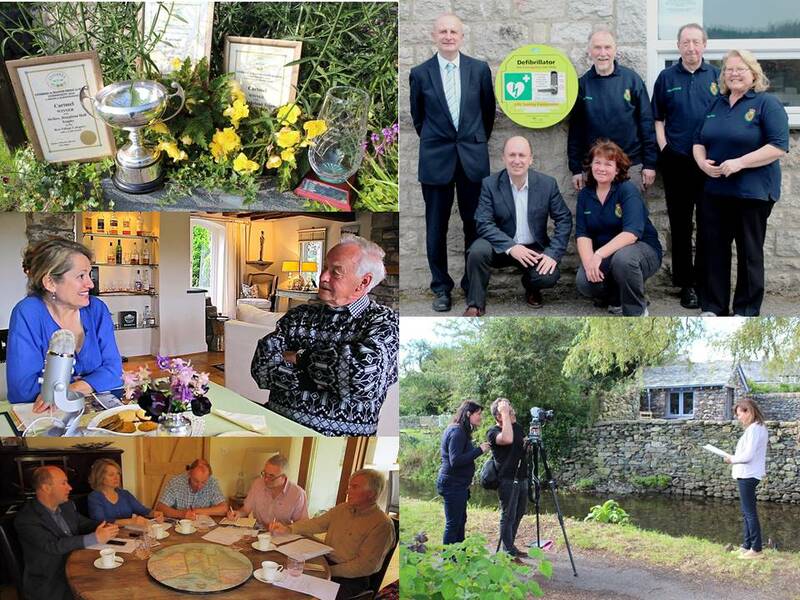 The Trustees/Executive Committee aim is to ensure that this legacy is used carefully for the long term benefit of the village and its residents and in ways which will enable the Society to be as effective as possible in supporting or influencing a range of issues and projects crucial to the village’s long term well being. The legacy also helped to ‘re-launch’ the Society and in addition led to what is now the Cartmel in Bloom Group which has worked wonders in maintaining and improving the floral displays within the village whilst keeping the streets litter free. Members of the Society are currently involved with the preparation of a Conservation Management Plan for the Village and the Delivery Group of the Cartmel Township Initiative.